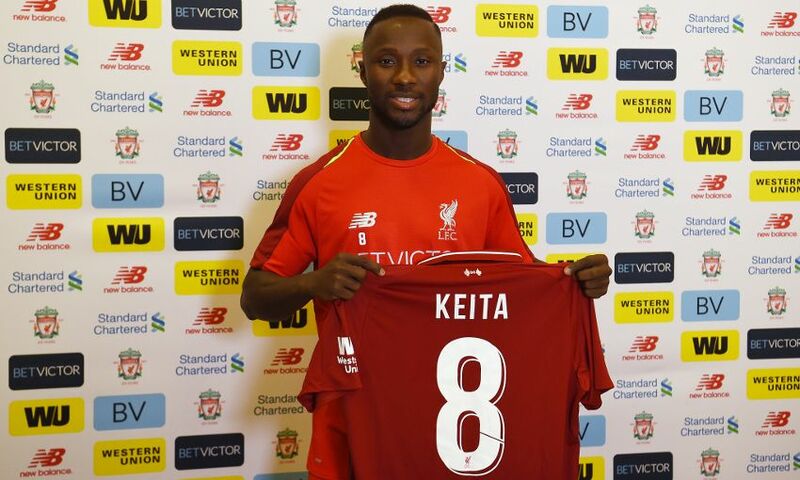 Naby Keita will officially become a Liverpool player on July 1. The Merseyside club announce this officially today after an agreement was reached with Bundesliga side RB Leipzig in August 2017. He told Liverpoolfc.com: “When you see how they performed last season it makes me want to do the same and to be a part of this team. I would like to be able to achieve a similar kind of season with them next season – but even better. The 23-year-old moves to Anfield after two seasons with Leipzig, during which he scored 17 goals in 71 appearances for the Bundesliga side. Keita, who also has 29 caps for Guinea, will wear the No.8 jersey for Liverpool.